To continue our journey of knowing Christ more deeply, we need to continue learning and exploring His Word. This learning path doesn’t end, as we must keep challenging ourselves in our understanding and application of the Scriptures in our lives. The encouragement to keep on learning is clear: “For now we see in a mirror, dimly, but then we will see face to face. Now I know only in part; then I will know fully, even as I have been fully known.” (1 Corinthians 13:12). God is revealed. To help with this a monthly get together takes place to discuss various aspects of the Christian Faith, whilst at the same time many people munch on a rather tasty doughnut or two! Topics are chosen by those who attend, emphasis is placed on being relaxed and informal. See the calendar for times and venue. Other ways to help your journey include working with the children and youth team; singing in the choir and volunteering as a server or reader. We also hold practise meetings on Mondays from 7.30 pm till 9.00 (though wise to contact Richard beforehand). The talented team of flower arrangers ensure the church is appropriately decorated to support regular worship and to enhance festivals such as Easter, Harvest and Christmas. At West Huntspill Church there are occasional singing sessions where people gather to sing hymns for future services. Like singing? The Songs of Praise service might be for you. Third Sunday of each month at 3pm All Saints Church. Do you enjoy singing with a group, new songs, old songs, neglected songs? 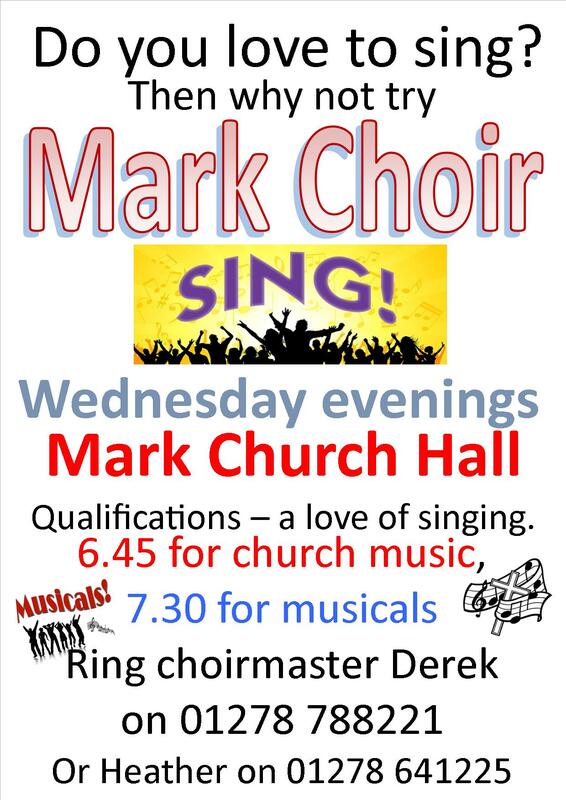 We are Mark choir, currently a ladies only friendly group, rehearsing and singing a wide variety of music from show songs, popular ballads to church music. 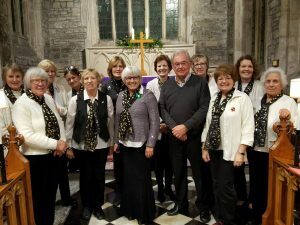 The choir have sung at a number of weddings, church carol services and other events and are now looking at events in 2018/19. We are looking to expand our group and would warmly welcome new members to come along. Some of our members form a church choir to sing on the first Sunday in the month in church and at other Festival services during the year. 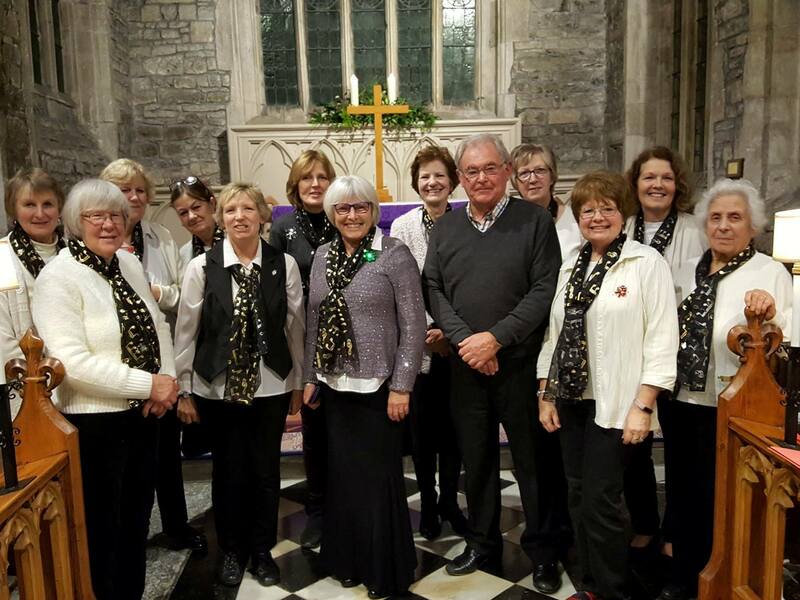 They tell us that group singing is good for relaxation, health and general well- being, so why not come along and give it a try. The ability to read music is not essential, but if you can you would be most welcome. What is more important is to enjoy the company of others, be a team player and enjoy singing. We meet in the warm comfort of Mark church hall on a Wednesday evening between 6.45 and 8.30pm. 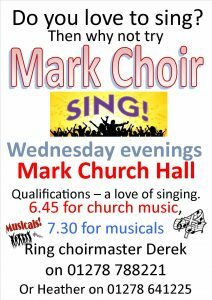 From start to 7.30 we practice church music and popular anthems for church use, and in the last hour we rehearse songs from the shows and other songs, which we shall be taking into the community. From 10.30am onwards at Holy Cross Church, Mark. A great opportunity to catch up with friends, find out what’s going on, and enjoy a delicious homemade cake, free of charge. All Saints Church Hall is a hive of activity on the third Saturday of each month from 10:30 – 11.30 am. A chance to buy delicious cake or two…the perfect weekend treat! At all the churches we support and promote Fairtrade goods. A wide-range of goods are available after the service at Mark on the third Sunday of the month.